The Hoxton is a breath of fresh air in a perfect position. 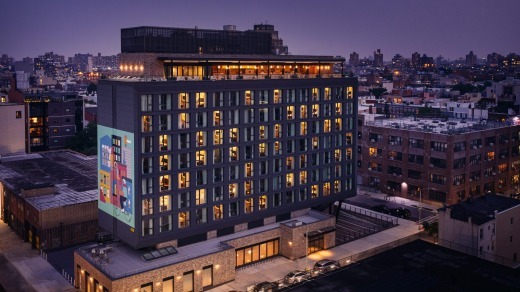 This first US outpost of the English Hoxton brand opened in September 2018, smack-bang in the middle of the hottest hotel row in Brooklyn, on Wythe Street in hip Williamsburg. With stellar views across the East River to the Manhattan skyline, it's a short walk to the Bedford Avenue stop of the L train, which is just one stop away from the city. Chances are you'll be going against traffic if you leave, as Williamsburg has become one of New York's most desirable go-to neighbourhoods for bars, cafes, restaurants and boutiques. Everything about the Hoxton speaks to its Brooklyn surrounds. The signage is unobtrusive. The style is industrial chic but it's welcoming rather than austere. The lobby is a designer's dream of expertly mismatched furnishings, populated by creatives, cool things and locals who drop in to hang out, browse the free newspapers, tap on laptops and sip espresso and nibble snacks from the on-site cafe. Off the reception area is the Apartment, a meeting and events space with a series of rooms built around a shared pantry kitchen. The Hoxton is in the heart of Williamsburg, the most happening neighbourhood in New York. Take your choice of Cosy, Cosy with a View, or Roomy. All feature king-size beds, raw concrete ceilings and brass fittings. Everything in here is proudly Brooklyn – the ceramics; the bed linen (by Dusan Dusan); even the book selections in each room are selected by local group Hox Friends. 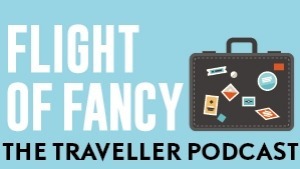 There's free milk and bottled water in the fridge and if you hang a paper bag on a hook outside your room at night, in the morning it will be filled with an on-the-go breakfast of banana, orange juice and breakfast pot of steel cut oats and dried fruits. Food is a major focus of the Hoxton due to Brightside Hospitality, a union between Brooklyn restaurateurs Jud Mongell​ of Five Leaves and Zeb Stewart of Cafe Colette and Union Pool. Klein's is the main restaurant that spills from a chef bar to a dining room to a terrace and specialises in Americana-style dishes. I ate superb seared king salmon and a strawberry cheesecake sundae. The Backyard is a casual eatery with nachos, chilli dogs and ping-pong tables. 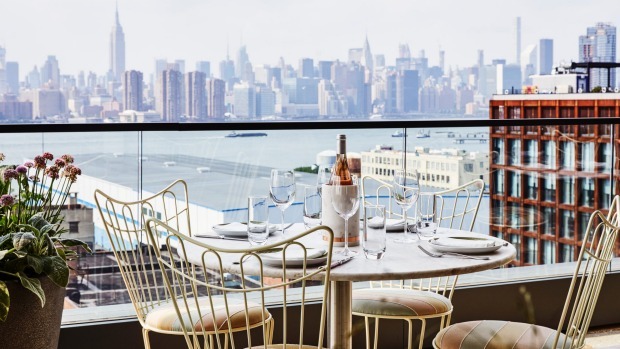 And at Summerly you can eat New England-inspired seafood, such as lobster rolls, on the rooftop while gazing at Manhattan. You're in the heart of the most happening neighbourhood in New York. Literally around the corner you can drink great beer at Brooklyn Brewery, knock down ten pins and dance your heart out at Brooklyn Bowl, shop for sounds at Rough Trade and eat your way around the hottest outdoor food market in New York at Smorgasburg. On Bedford Avenue and most of its cross streets you can bar-hop, dine, shop and hipster-watch to your heart's content, or wander further north to check out Greenpoint, an intriguing mix of old Polish neighbourhood and young, cool New York (Girls was set here). What's not to love? The Hoxton is a breath of fresh air that is in a perfect position, the staff is welcoming and helpful and the place hits just the right balance between style and unpretentiousness. Guests get one hour of free calls from their room phone each day. Yes, including international calls. Gym junkies and spa lovers are out of luck, as the Hoxton has neither. But there are four bikes for free use and if you simply have to work out, the hotel has partnered with nearby Chalk Gym to offer a $15 all-day pass. And hey, you're in New York. Walk, already!